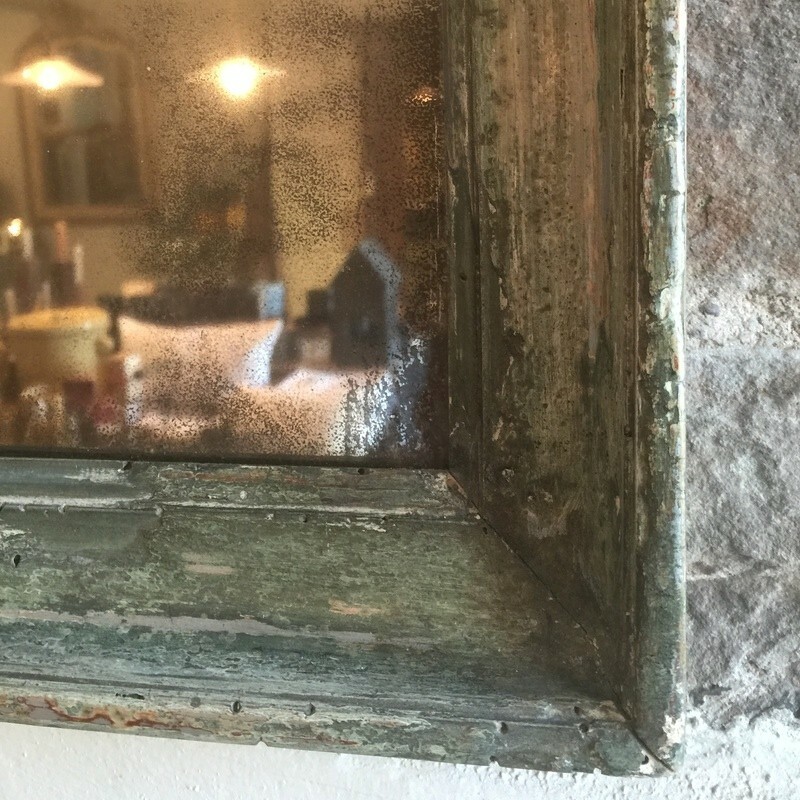 Charming, simple, early 1800's French mirror. Lovely original colours and some silver gilding. Original mercury plate mirror and back.